This is the ultimate culinary festival for those who appreciate true Belgian gastronomy. Rosie Khdir’s taste buds are tingling at the thought of Culinaria Square. 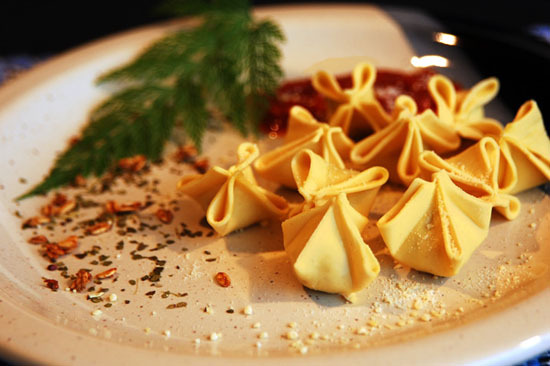 Culinaria Square is a four day festival devoted to the gastronomy of Belgium. It was launched in 2009 and following its phenomenal success it is back for another year. Last year saw 14,000 people from Brussels, Wallonia and Flanders gather to experience the cooking of some of the country’s most revered chefs, and this year look set to be another winner. The 2010 Culinaria² will take place on the Tour & Taxis, a large 20th century site located at the centre of Brussels. The way it works is 16 of Belgium’s finest chefs, who together hold an astonishing 26 Michelin stars, split off into teams of four to create four menus and each Chef cooks his own dish. The result: a delicious and very unique Michelin standard meal. Not only will people get to enjoy an exquisite meal they will also have access to seven workshops where visitors may be able to uncover the secrets of great cooking; these will be in a variety of languages. There is also a food market so you can buy some of the best ingredients for your own cooking. Tickets for this event are quite pricey, but if you feel like spoiling yourself, Culinaria² is definitely the place to do it. The event starts on 3rd June and ends on the 6th June and for more details you can visit the official site www.culinariasquare.be. Today is the 70th anniversary of the start of Operation Dynamo, better known as the Dunkirk evacuation and a monument in British cultural history, writes Tomas Mowlam. Between 27th May and 4th June 1940 the Allies managed to evacuate 198,229 British and 139,997 French soldiers from the beaches of Dunkirk, and avert a potential disaster. 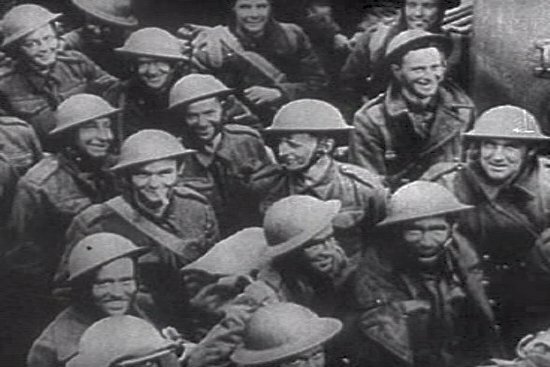 By the 26th May the British Expeditionary Force and the French First Army were pinned into a corridor around Dunkirk by the German army. Taking heavy casualties, forced to abandon heavy equipment, and on half-rations things looked desperate; General Brooke even wrote in his diary “nothing but a miracle can save the BEF now”. Solid British and French resistance and German decisions to invest captured ground rather than assault the vulnerable Allies gave vital breathing room, allowing the rescue to go ahead. Hundreds of private vessels were employed to pull soldiers from the beaches; the little ships of Dunkirk with their shallow draft could get closer to shore and pull out soldiers, some of who had waited shoulder deep in water all day. On 31st May alone 68,014 men were rescued. It can seem cliché now but the Dunkirk spirit is still a brilliant evocation of people doing great things in the most difficult of circumstances. It was a morale boost, a hopeful note in the chaos of the war, something worth remembering. Building sand castles at the beach is a classic summer pastime for most people, but in The Hague, the Dutch go a step further. 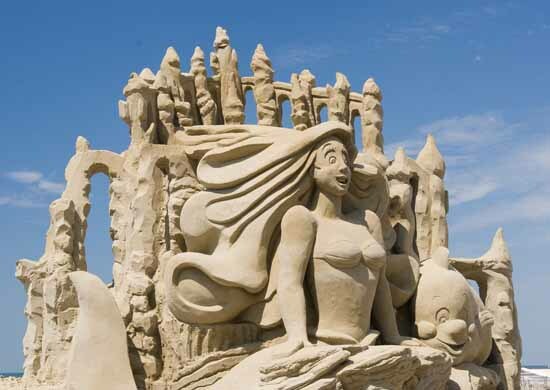 Rosie Khdir discovers the sand sculptures of Scheveningen Beach. From 29th April until 28th June Scheveningen Beach is awash with towering sand sculptures as part of the 19th International Sand Sculpture Festival. As The Hague was recently named the Top Sport City 2009, by Sport2B consultancy, the theme for this year’s artwork is sport. Sand carvers from all over the world will come together to create 14 sculptures on the beach pavilion terraces and two much larger sculptures on the boulevard near the Kurhaus and the Pier. The technique behind such artistry consists of layering the sand, which comes from the river Maas, in a wooden mold and compacting it with water and petrol hammers. The secret to a strong and long-standing sculpture is the type of sand used. It is for this reason that the beach sand is not used; it is rounded due to tidal wash and wind, making it harder to model with. Sculpturing sand is less eroded and has a rougher structure in order to stack it up to a higher level. The sand is then carved with special tools to create beautiful masterpieces that stand several metres tall. Past subjects have included Greek Mythology and Disney scenes! To witness these beautiful pieces for yourself, why not hop on a ferry! P&O Ferries runs a great value service from Hull – Rotterdam. As the Pride of Bilbao begins its final summer’s service on the Portsmouth-Bilbao route (says John Hillman)whale watchers have their last chance to join P&O Ferries and the Biscay Dolphin Research Programme on-board for a marine wildlife workshop. A selection of Europe’s leading cetacean and seabird researchers will be on hand during selected crossings to teach people how to spot and recognise a whole range of fascinating sea animals. The course is open to the general public and is unique in its approach, combining a fantastic opportunity to experience a real marine biology field trip with the comfort and facilities of one of the fleets most impressive cruise ships. 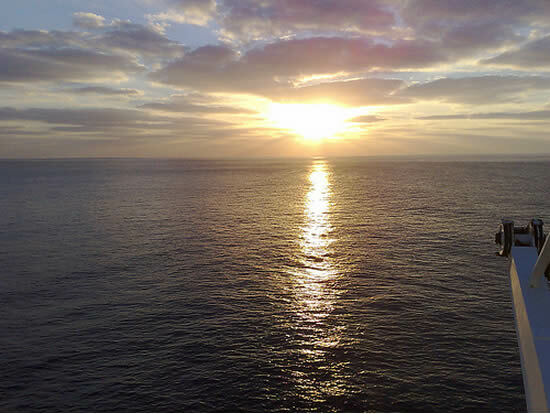 On-board you can try your luck at spotting anyone of over 20 cetacean species, Fin Whale, Common Dolphin, regular Beaked Whale and many hundreds of different types of bird. The group in fact records record whale sightings all year round and has been instrumental in documenting just how important an area the Bay of Biscay is to marine wildlife. 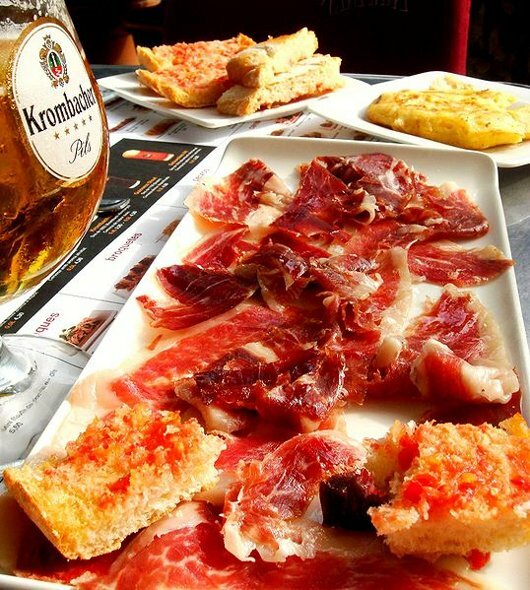 Of course you can expect to enjoy your trip in the very comfortable surroundings that the Pride of Bilbao has to offer, including en suite cabin, cinema, bars, restaurants and even a casino. However the real attractions will be our on deck where the Biscay Dolphin Research Programme will be on hand to provide a Full programme of events including deck watches and presentations. Festivals here in blighty always risk the weather, and camping isn’t everyone’s cup of tea, but what if you could see all your favourite bands, in the sun and sleep in a bed as well. Tomas Mowlam introduces Primavera Sound 2010. From 27th to 29th May in Barcelona’s Parc del Forum some of the greatest bands you’ve ever heard of (and some that you’ve never) will be performing. This year’s line-up is as eclectic as ever, and it’s an indie kid’s dream, as ever. I’ve picked my highlights, and they’re completely subjective, but I’m right. Formed in Cardiff in 2006, the seven piece play witty, brilliant indie rock. They also use a glockenspiel. Expect strange stories of small town, suburban living, with brilliant lyrics and a hint of trumpet. 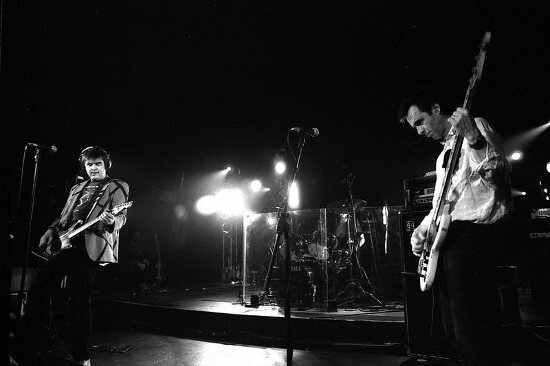 The post-punk legends formed in 1979 and released one EP, Signals, Calls and Marches, and then one full length album Vs. Masters and innovators of using tape loops and sampling live, they split in 1983, but reformed in 2002. Expect loops, old-school tape manipulation, and loud volume. Florence and the Machine, Saturday 29th May, 20:50. San Miguel Stage. It’s a been a great year for young Florence Mary Leontine Welch, with her debut album Lungs riding high in the charts, she looks to be the queen of electro pop this year. Psychedelic folk rock doesn’t sound like a great idea on the face of it, but Brooklyn outfit Grizzly bear take these disparate elements to form a swirling beautiful collage. Like a tie-dye duvet. Tickets for Primavera Sound 2010 are still available and P&O Ferries runs the Portsmouth to Bilbao route. With cities like Brussels, Bruges and Antwerp surrounding it, it is not hard to see why Ghent may have been overlooked by visitors to Belgium. Rosie Khdir reveals the delights of this medieval canal city. Ghent is a historic city, filled with the weird and wonderful. It is apparently the “veggie capital of Europe” and in 2009 the city even launched ‘Donderdag Veggiedag’ (Thursday Veggie Day) to encourage its residents to give up meat and fish on Thursdays! The most prominent part of the city as you walk around seems to be its history, visible from the gothic and medieval architecture. The scenic old Graslei harbour is elegant and striking, and medieval cathedrals and the Gravensteen castle sits grandly around the central public squares – the largest car-free area in Belgium. Ghent is divided into two sectors, the historic centre and the artistic quarter both of which are easy to navigate by foot, with signposts at 114 locations. As for sightseeing you can go and see The Adoration of the Mystic Lamb, a unique altar piece situated in St. Bavo’s Cathedral. It was painted by the Van Eyck brothers in 1432 and is considered to be a milestone in art history. You can also visit St. Michael’s Bridge, the Old Belfry, which is an official UNESCO site, and the many old houses that decorate the historic water front. 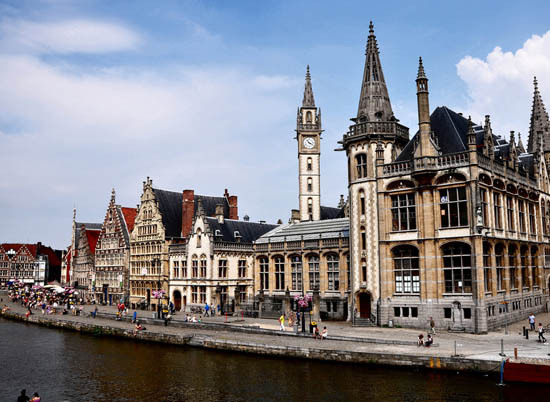 Ghent is also filled with interesting museums such as the Design museum, which displays furnishings of all ages, from Renaissance to Art Deco, Art Nouveau and retro. There is also the Museum of Fine Arts, St. Peter’s Abbey Arts Centre, the School of Yesteryear and the World of Kina: the Garden, where you can see more than 1000 plant species and live tarantulas. Now if that doesn’t tempt you, maybe these facts about Ghent will. It has 475 restaurants, 250 different sorts of beer, 74 parks, 56 large and small market squares, 30 hectares of pedestrian space in the city centre (this is the largest in Belgium), 19 museums, 5 abbeys, 2 medieval castles, the largest street festival in Europe (The Ghent Festivities). To top it off, no other city in Belgium has as many classified buildings as Ghent. Convinced that it is worth a visit yet? Well I should hope so! P&O Ferries can help you on your way with its Hull – Zeebrugge route. Alternatively you can take the Dover – Calais route from where it is just a short drive along the E40 to the Belgian border. Prices start at just £30 for a car and up to nine people. 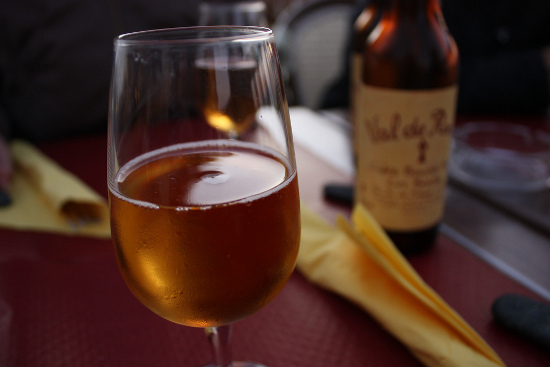 French cider has some long standing traditions, in fact there are those who say that the entire English tradition of cider comes from across the channel, writes Tomas Mowlam. Post 1066 when William the Conqueror and his Norman lords had finished burning and ravaging England, they settled down to build a new kingdom. They established Norman methods of agriculture including the apple orchards. And after a hard seasons work in the orchards and fields, it makes sense to brew something to celebrate. So don’t tell the West Country but maybe we have the French to thank for pork with apple sauce and more importantly cider. In France it was the second most popular drink until the 1950s, before it was overtaken by beer, and it comes in several forms. Cidre Doux is sweet and only about 3 per cent in strength, demi-sec is 3-5 per cent and cidre brut is dry and is 5 per cent or above. True to historical form it’s produced mainly in Brittany and Normandy, and the Normans even produce Calvados, a double distilled spirit made from the cider up to 40 per cent. Cider production is a unique craft; the types of apples used and the method of turning them into a refreshing glass of apple-ly goodness is highly localised. The generally accepted method is to pulp the apples, layer the pulp in blocks called ‘cheeses’ between wooden slats and sacking. This stack is then weighed down until all the juice has been squeezed out. The juice is then put into casks, and left to ferment, before being siphoned off just before fermentation consumes all sugar. Sometimes extra sugar can be added, extra carbonation, combined with other fruit flavours…the options are endless. Salut! If you fancy hopping across the channel to taste some cider in its ‘native’ surroundings, then let P&O get you there; a crossing from Dover to Calais in a car with up to nine people starts from just £30.